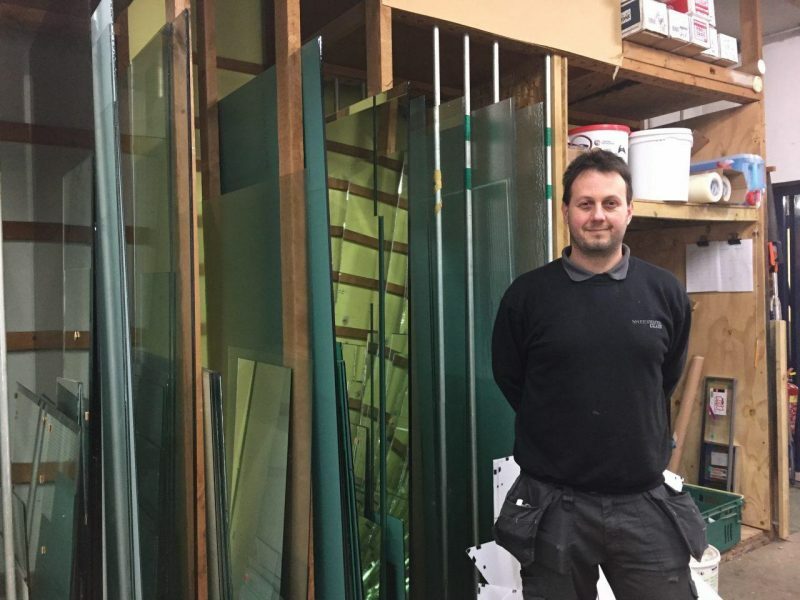 Our glaziers at Sheerwater Glass play an important role here – from fitting splashbacks and balustrades to cutting glass and fixing door handles. Today we met up with Greg to learn more about his busy day. 1. How long have you worked for Sheerwater Glass? I joined the team at the beginning of 2017 as a trainee Glazier, but I am now fully trained and enjoy carrying out a whole range of exciting jobs. 2. What were you doing with yourself before you joined Sheerwater Glass? I was a delivery driver for a local plumbing firm. 3. What skills would you say you require to carry out your job? You need to be good at DIY, good with measurements and ensure safe handling when working with glass. 4. What is the first thing you do when you get to work? Go round and say “hello” to everyone! 5. How would you describe a typical day? First I get the paperwork, check and discuss with Pompey which jobs we’ve got and need to focus on. Then we fill up the vans for the day and head out to meet our customers. Working with my partner Pompey, we have a lot of fun out on the road! Learning new skills and gaining new experiences. 7. Do you have a favourite job or have one that stands out for you? I enjoy fitting splashbacks because they can create such a great transformation to a customer’s home.